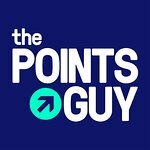 The Points Guy is your ultimate guide to navigating the ins and outs of the points, miles, aviation and travel world. Prepare your children to do their business anywhere in the world. "We truly enjoyed our two nights at Disney’s Wilderness Lodge, as it is close to Magic Kingdom yet still serves as a calm refuge after frenetic park days, with great service and a nod to wilderness cabins (without all the unpleasant parts of camping)." Radisson RED represents a new direction for a sometimes staid, mid-tier chain. Pros: Fantastic location, artsy vibe. Cons: Room rates can be high, amenities just so-so. "Luckily, May is the perfect month to travel, as it’s shoulder season in many places around the world. A number of destinations have beautiful, sunny weather that’s not too hot yet and are less inundated with tourists." Pros: Great Gold amenities, a plethora of activities and amenities for families and honeymooners alike on a private island Cons: Expensive and inflexible ferry, lack of communication before arrival and an annoying reservation process for on-property restaurants. This JW Marriott property in Indonesia can frequently be booked for just $60-80 per night. Pros: Excellent city views, comfortable bed and well-equipped fitness center. Cons: The rooms are somewhat outdated and some maintenance issues. From snorkeling with sea turtles to unbelievable sunsets, here is the official bucket list for your next family trip to Waikiki. "Africa has a lot to offer your family in terms of cultural richness, food diversity, great weather and great wildlife. If you want to get the best experience possible, you will need to properly plan for the trip." What you need to know about saving money at the happiest — and possibly most expensive— place on Earth.